Kanika Goyal does not have a godfather in the fashion industry. In fact, the Delhi-based designer was the first in her 17-member joint family to break out of conventional career choices. For her, it was always about getting out of her comfort zone, not hesitating to seek opportunities, and working hard to succeed. Graduating in accessory design from the National Institute of Fashion Technology (NIFT) in Delhi, she fine-tuned her training in garments and couture at the Parsons School of Design in New York. Goyal launched the Kanika Goyal Label in 2014 and her first collection was out in October the same year. Since then, several Bollywood A-listers, including Deepika Padukone, Alia Bhatt and Anushka Sharma, have made appearances in her creations. She calls her work “provocative minimalism”, which, according to her, is using maximum patterns for minimalistic appeal. “It’s basically getting calm and chaos together. Using both heavy and light fabrics, and contrasting prints, to give depth and perspective. Opposite elements always lend themselves to a dramatic, yet harmonious appeal,” she says. Leading a team of 15, Goyal’s label includes womenswear, menswear and a diffusion line. She ventured into leather accessories in 2018 and will soon launch her signature line of couture. 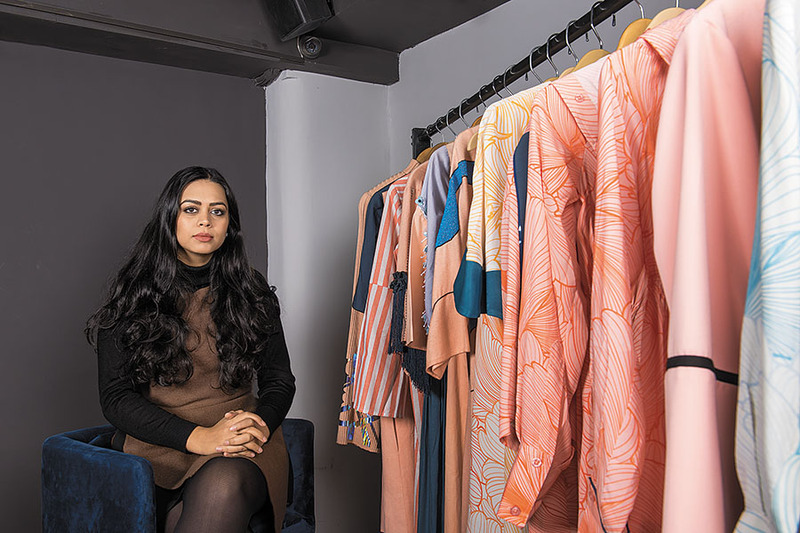 Currently retailing through 12 stores in India, three in the UAE and her website, the designer is looking to venture into the US market this year, apart from select ecommerce portals. She has collaborated with brands like Adidas Originals, SmartWater and Absolut in the past, a strategy she hopes to continue in 2019, before approaching investors. New York-based fashion designer Bibhu Mohapatra, who had offered Goyal an internship while she was at Parsons, believes that her sensibility melds street with high fashion in a unique way. “Kanika was always hardworking and diligent, but her impeccable taste in design makes it clear that she is going to be a beautiful success story,” he says.